It never fails to surprise me how little magazines analyse product when they cover a brand. An article is more likely to be about the founders and their story than the product itself - setting it in context, comparing it to its peers, analysing both its quality and aesthetics. Human stories are far easier to get a handle on and to write, of course. But it's the product that we buy. The product we have to make an educated decision about, and wear. Such has been the case with much of the coverage I have read about The Worker's Club (TWC). Adam and Charlotte Cameron (above) do have an interesting back story. Both are industry veterans, having spent their careers designing for luxury and high-street brands respectively. They set up TWC from a house in the Oxfordshire countryside, and have slowly expanded from one room into another since their first collection in 2015. 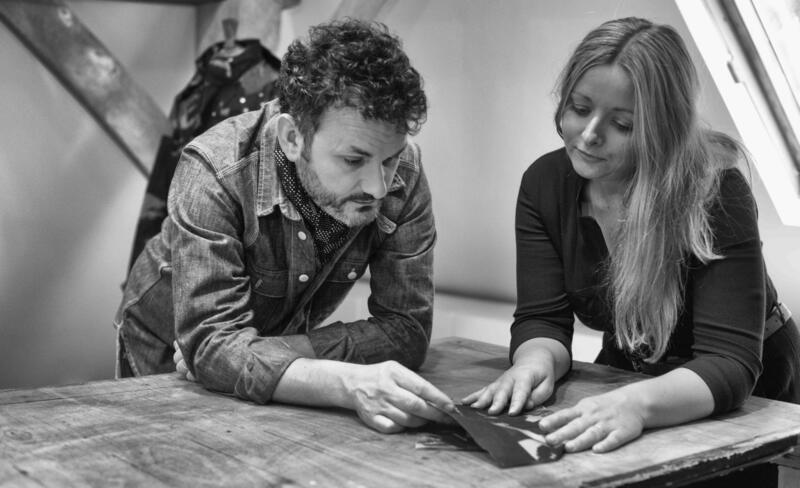 Adam was previously the head of menswear at Dunhill and is currently designing the Kingsman collection at Mr Porter. He is also responsible for the beautiful Driving collection at Connolly on Clifford Street. But it is the product that is the most interesting thing about TWC - or more precisely, the concept. Although TWC now sells everything from jeans to socks, it started with the idea of a shell jacket (above) that could be adapted to different weather conditions. "Most outerwear is too heavy to be worn most of the year - and you end up needing two or three pieces," says Adam. "We began with the pretty basic idea of making a shell that different layers could be zipped into, making it much more versatile." So the outer shell is made from a water-repellent cotton canvas: the Italian version of Ventile, whose fibres expand in the same way on contact with water. 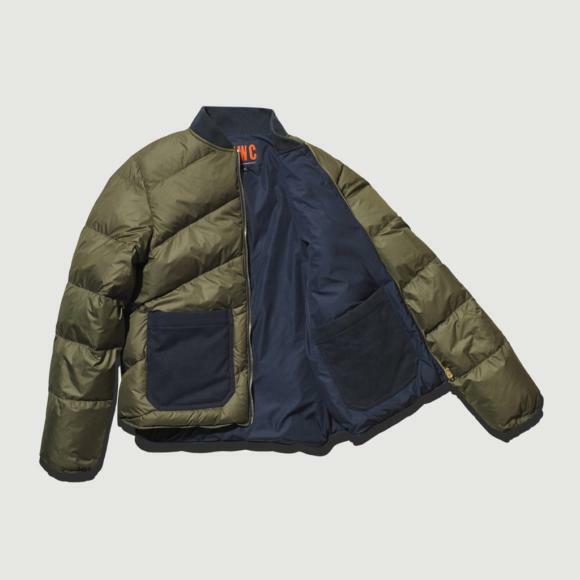 It has taped seams; a peaked, removable hood; and lots of functional details like perfectly placed hand-warmer and chest pockets. Into this shell you can zip a gilet - the winter version is in Harris Tweed, the current model in a wool/cotton jersey (above). This pushes the outer shell into cold Autumn days and mild winter ones. And on the really cold days, you can replace it with the down-filled bomber jacket (below). 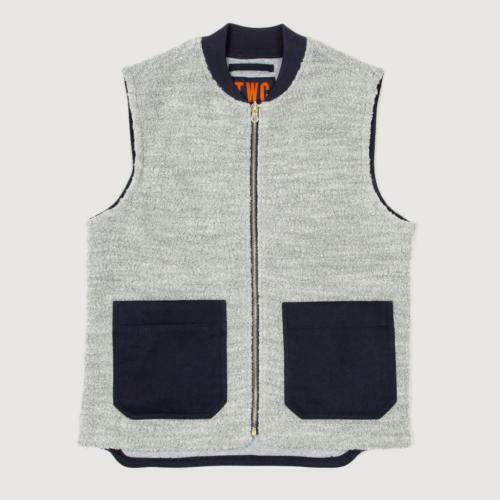 This zips in in the same way, and is reversible between cotton drill and water-resistant microfibre. The overall system is called 'The Works'. Both gilet and bomber jacket can also be worn on their own (though I confess the bomber jacket isn't really my style). There are also some styling details I would change on the shell - such as the hardware, which is shiny gold rather than the antiqued metals often used on vintage-looking outerwear. But as with other things Adam does, all the layers have the practical details absolutely nailed. Those pockets I mentioned earlier (hand-warmer pockets are rarely in the right place); adjustable cuffs and hood; concealed snaps everywhere and big RirRi zips. "The quality on everything is very high for such a simple-looking garment," says Adam. "From the material to the hardware to the finishing - we wanted high-quality pieces that weren't too extreme-looking." I've tried on the full range of pieces, and it is this practicality that hits home most. I haven't bought and owned one myself, so I can't speak to wear over time. But seeing Adam's much-worn and much-loved version shows how attractively the cotton will age. 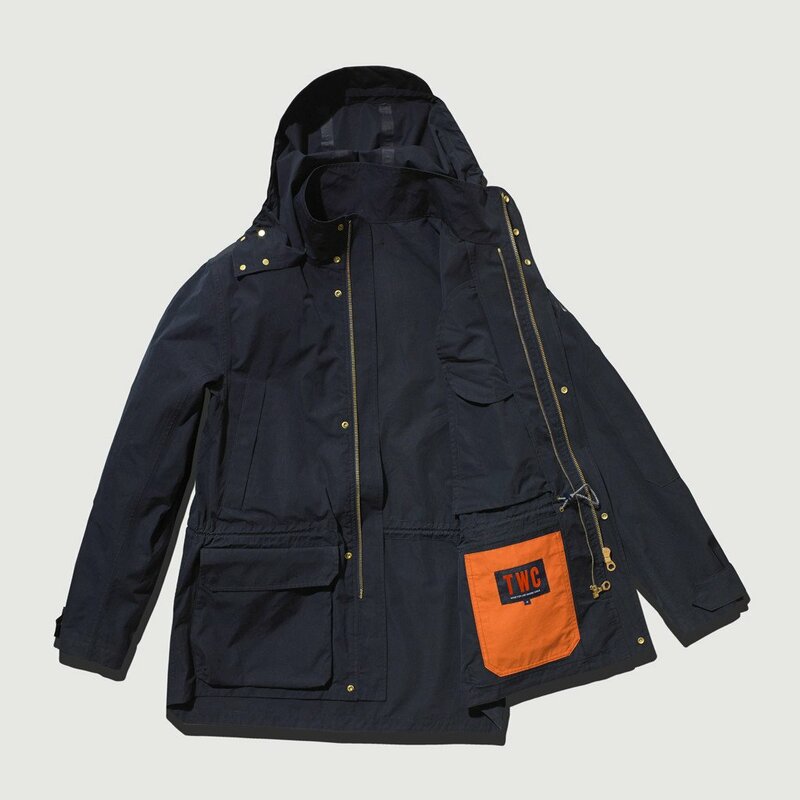 It's a nice, more practical alternative to Barbour and similar casual outerwear pieces. Each piece is good value too compared to outerwear of a similar quality, with the shell at £545 and gilet £250. I won't comment at all on the other parts of the TWC range - jeans, knitwear, socks, both because I haven't tried them and because I don't have the context. The Workers Club is sold exclusively on the brand's own website and through Mr Porter. The current season includes a black rip-stop version of the shell jacket, as well as a rubberised version in cobalt blue. You can follow the discussion on The versatile outerwear of The Workers Club by entering your email address in the box below. You will then receive an email every time a new comment is added. These will also contain a link to a page where you can stop the alerts, and remove all of your related data from the site. Hi Simon. Might you by chance have any pictures of the much-worn and much-loved version? Thanks! 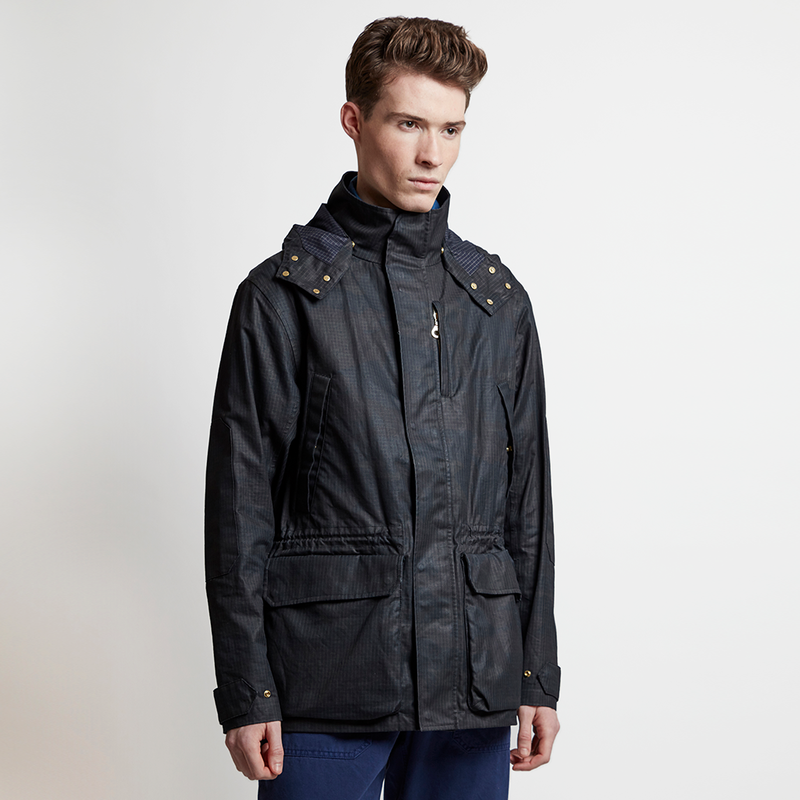 Hi Simon, why do you say that it’s more practical than a Barbour? Because of the different layers that can be buttoned in and out. My Bedale has a zip-in/out quilted nylon liner and a clip-on/off hood. Pretty similar I’d say in terms of practicality. TWC fiendishly expensive too for basics. Yes, a lot of the Barbours have one removable liner, but nothing that compares to the down liner at TWC. That makes it a real winter piece, which the Barbours are not. TWC are very good value, but I agree not necessarily a basic. Agreed.. and you can always layer for a cheaper and more unique look. Barbours are HORRIBLE. They are heavy, greasy and dont breathe so you get all sweaty especially under the armpits. I really dont understand how these menswear dudes wear them over a tailored suit! That too usually in Asia which is hot and humid! Its one of the eternal mysteries of the menswear universe. Interesting – I see that Superdenim no longer stock TWC as they used to. I remember how extortionately high the price for their jeans were ~£385… if we talk comparable quality I just didn’t see them as being able to hold their own at that kind of level. I think the reason a lot of magazines don’t talk about quality in items is because frankly they don’t really know and the average consumer isn’t really all that interested. I take back my comment on the jeans pricing having now look on the website. I like the look of the olive green “ventile” version on their website. If this is an Italian version of the cloth it does not come cheap but clothing made of Ventile wears extremely well and doesn’t have the nasty, crinkly effect of nylon, Goretex etc. or the tacky feeling with waxed cottons. In terms of the price the outer jacket compares with Private White’s offerings though the gilet and the down lining are expensive. I would like to see this and try one on before really deciding to acquire one. Pity they are not made in the U.K.
Will you be selling the new summer Friday Polo on your webshop? I see it’s up on LA’s webshop now. Are you no longer collaborating with Luca? Luca and I still work together yes, but he also does his own designs and sells on his site. The ‘summer’ Friday Polo he has up there is a version of his in a lighter weight pique. I prefer the pique we use, so I’m not selling that version. I’ll have my short-sleeved versions available in our pique in a few weeks. I’ve never understood the point of zip-in or button-in pieces. They add complexity, cost, etc, and offer no practical advantage over wearing the same layers ‘unattached’. I have a jacket “system” like this with some Visvim pieces that look pretty similar. Wish the Visvim pieces were a lot cheaper but luckily they’re more traditional/timeless than some of their more trendier stuff. The jacket shell is Goretex and I’m able to use it for snowboarding or even over a suit. 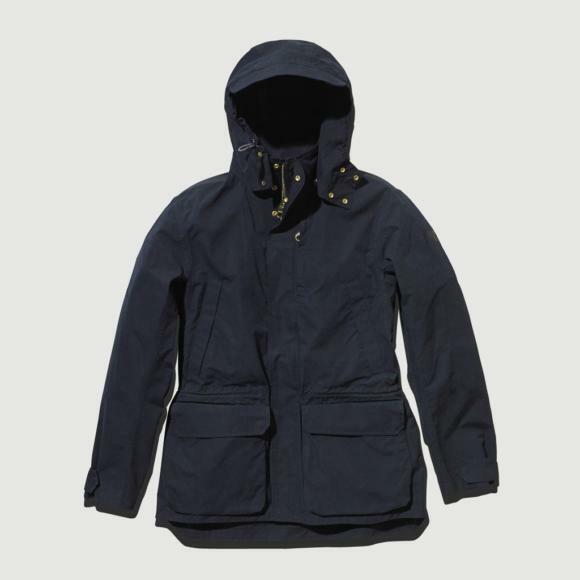 Wondering if you could advice on any rtw brands which carry casual outerwear for winter conditions which are sturdy and reasonably priced (<US$300-$400)? Something that pairs well with polos, tailored chinos and sneaker/loafers would be great!